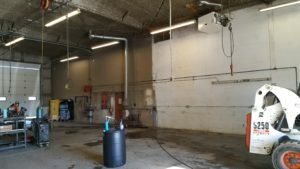 Super Clean Tackles A Cleaning Bay! 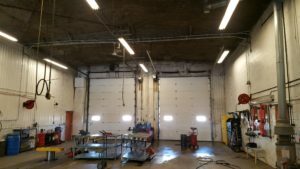 Every Super Clean user has a favorite story about a stain, mess, or problem that Super Clean solved for them, but few can compare to the sheer magnitude of the difference that it made on this commercial vehicle cleaning bay. 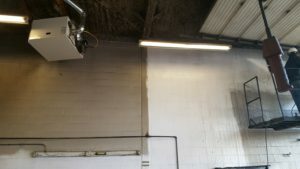 To say this bay was dirty is an understatement.That’s not a paint job on the right side – it’s the original wall color. That’s the power of Super Clean combined with a pressure washer! Simple and easy, even for this huge area. 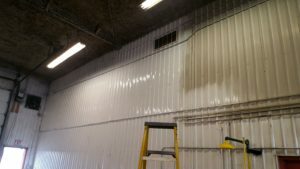 It took only a few hours to remove years of dirt and grime that clung to these walls – both the cement and the siding surfaces, with no scrubbing required! 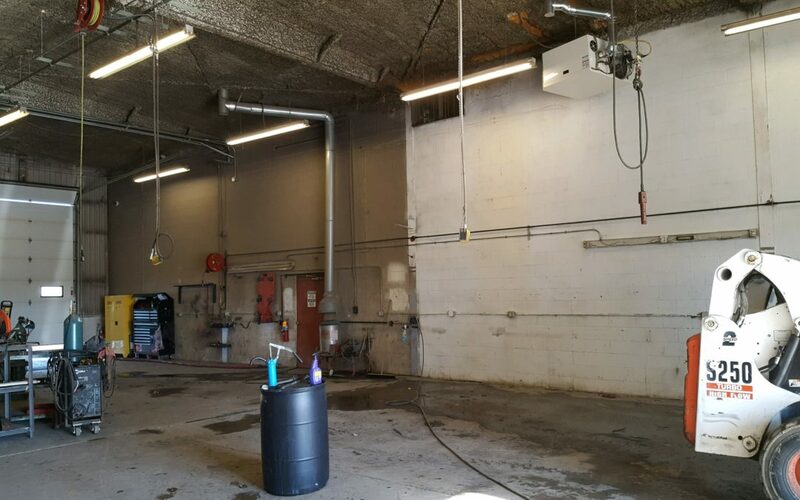 Super Clean helped transform this work space from dingy and dark to bright and light. Super Easy. Super Fast.